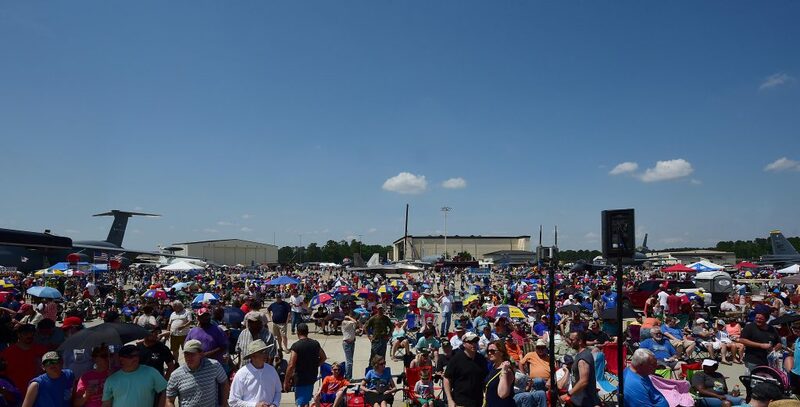 SEYMOUR JOHNSON AFB, GOLDSBORO, NC – The pre-Memorial Day weekend Wings Over Wayne Air Show, held May 20 and 21 at Seymour Johnson Air Force Base, attracted a record crowd of 230,000. 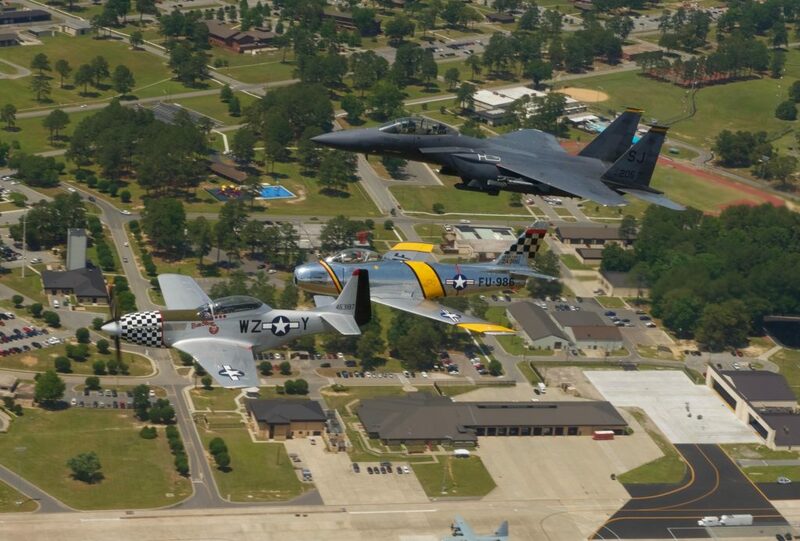 The biennial display of historic and contemporary airpower kicked off the 75th-anniversary celebration of the 4th Fighter Wing and the birth of military aviation in North Carolina. The free, two-day event featured more than 20 aerial displays, including demonstrations by the headlining U.S. Navy Blue Angels, the F-22 Raptor Demonstration Team, the US Army Special Forces Black Daggers Parachute Demonstration Team, the Royal Canadian Air Force CF-18 Demonstration Team, and a 4th Fighter Wing 75th anniversary historical review flight featuring the P-51D Mustang, the F-86 Sabre, and the F-15E Strike Eagle. In addition to the aerial acts the 4th Security Forces Squadron provided military working dog demonstrations, set up a Combat Arms Team weapons display, and the U.S. Air Force Honor Guard performed with precision for the crowds. More than 35 static display aircraft were parked on the ramp. Wings Over Wayne is held in odd-numbered years and is a way for Seymour Johnson to thank the local community for their support of airpower and the base’s mission. 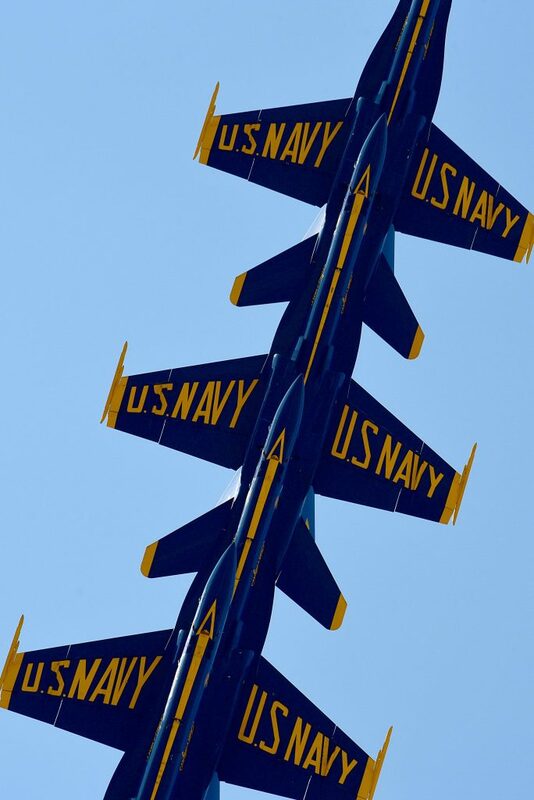 The base’s next air show is scheduled in May 2019. This year’s air show was unique because it coincides with the 4th Fighter Wing’s 75th anniversary activated in September 1942 in Debden, England. Flying the American P-51 Mustang during World War II, the wing is credited as the top Allied fighter group, destroying 1,016 enemy aircraft and the first to infiltrate airspace over Germany. In 1949, the Fighter Wing transitioned to the F-86 Sabre aircraft and flew missions during the Korean War. Again, the 4th was designated the top fighter unit during that conflict, destroying 502 enemy aircraft. The 336th Fighter Squadron became the first operational F-15E Strike Eagle squadron in 1989, and in 1991, the 4th Fighter Wing became the first fully operational Strike Eagle wing in the U.S. Air Force. The F-15E is a dual-role fighter designed to perform air-to-air and air-to-ground missions. 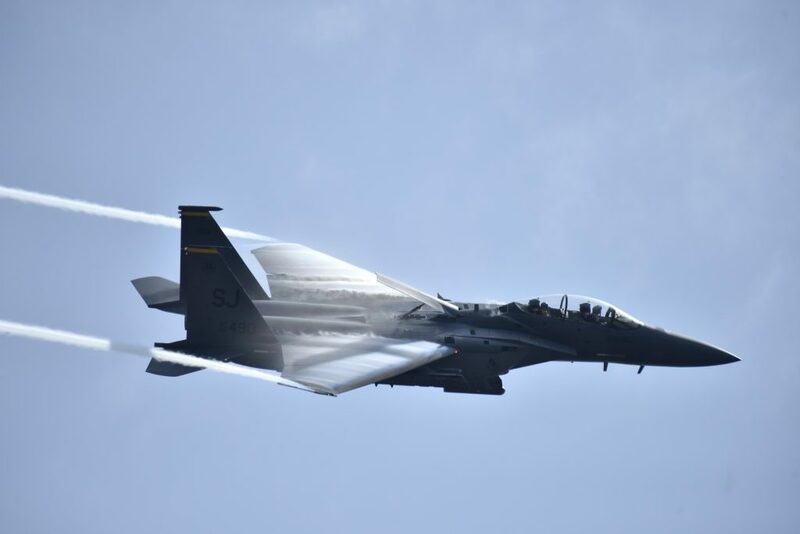 The Strike Eagle has served in many operations, including, DESERT STORM, SOUTHERN WATCH, ENDURING FREEDOM, ANACONDA, IRAQI FREEDOM AND INHERENT RESOLVE. In September 2017, the 4th Fighter Wing will celebrate the 75th anniversary with a weekend of events including a Battle of Britain ceremony, heritage aircraft static displays, a 50-year-old time capsule unveiling, base tours and other activities.